The whole city will be ringing with the sounds of the best-loved melodies of the operatic tradition. The event is a popular, cultural festival that leads everyone – young, old, music enthusiasts or otherwise – on a marvellous journey through the world of Opera. Hundreds of artists, concerts, recitals, and flash mobs; more than 50 locations across the city and tens of thousands of participants. Moreover, the festival will explore new directions, embracing jazz, electronic, swing, pop, rock and contemporary music to make Opera dialogue with severals genres. Festa dell’Opera is a unique project, conceived and realised by Fondazione del Teatro Grande di Brescia. 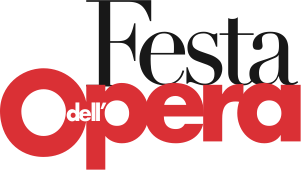 For its important educational significance Festa dell’Opera received the prestigious award Premio Filippo Siebaneck among Premi Franco Abbiati of Italian music critics. Festa dell'Opera "behind the scenes"